Once eclipsed by California's gastronomic glamour and the bright lights of Vegas' celebrity chefs, Arizona is coming into its own as a culinary hotspot. Tucson was named America’s first UNESCO World City of Gastronomy in 2016. Several months later, Taco Guild in Phoenix nabbed one of the top five spots for best Mexican grub in the country on Travel Channel’s Food Paradise. 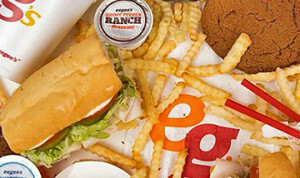 All of this national attention has made the 48th State a killer home for cutting-edge cuisine. Here are a dozen Arizona chefs and restaurants that are red-, white-, and blue-hot right now. How many chefs get their own movie? Granted, it's a small documentary film, but James Beard award-winning chef Nobuo Fukuda made headlines when culinary cinematographer Andrew Gooi (Food Talkies) released a 46-minute flick about the chef in January 2017. It's been over a decade since Fukuda first gained national attention; he was recognized by Esquire's John Mariani and Food & Wine some 15 years ago, and he took home that James Beard Award in 2007. Today, Fukuda can be found slicing and dicing in his circa-1899 cottage-turned-izakaya (a bar serving small dishes and snacks), Nobuo at Teeter House. Arizona foodies started salivating the second that celebrity chef, Food Network star, and noted onion-hater Scott Conant relocated to Metro Phoenix in 2016. Known for his handcrafted pasta and his work judging quick-fire cooking competitors on Chopped, Conant is also a CIA graduate — that's Culinary Institute of America, not Central Intelligence Agency — and winner of the James Beard Award for Best New Restaurant in 2003. In January 2017, he opened a new Italian concept, Mora Italian, with longtime Phoenix restaurateur Stefano Fabbri. The menu is still in flux, but one thing is likely — you won't find any raw red onions here. Chef Stephen Jones didn't follow his childhood dreams of being a star on the football field. That's great news for the rest of us, who can now be ever-grateful that he chose the kitchen instead. The 30-something culinary wunderkind made a name for himself locally at Blue Hound Kitchen & Cocktails before opening a trio of eateries inside the former Desoto Central Market in downtown Phoenix. His Cheetos-dusted fried pig ears left a trail of sticky orange finger breadcrumbs straight to our collective foodie hearts, and his $30,000 grand-finale win against Robert Irvine on Guy's Grocery Games solidified his standing in the culinary community. Phoenix native Don Guerra is more than just a baker. Part cook, part artist, and part food-scientist, he uses slow fermentation processes and locally sourced grains to craft fresh-baked bread in the tradition of his mother and grandmother at Tucson's Barrio Bread. 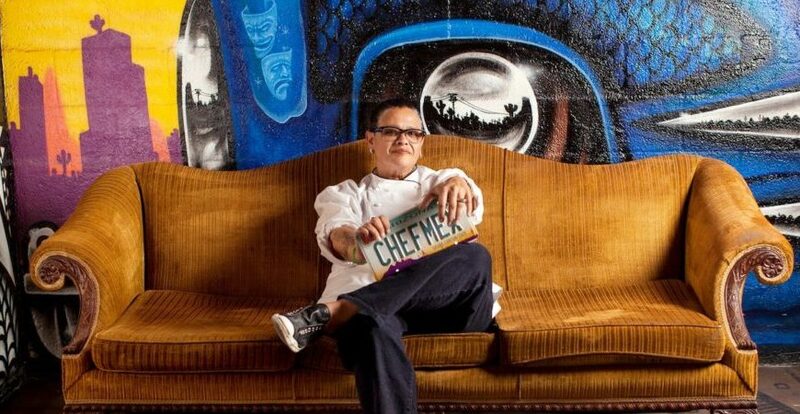 Prior to starting in the food biz, Guerra was an anthropology student at the University of Arizona and later taught elementary school in Tucson. Now, he teaches Arizonans how to work with heritage grains like ancient Khorasan wheat, and how to appreciate the art that is real bread. Denver transplants Joe and Dara Rodger are major overachievers. After a stint at the renowned Tinderbox Kitchen in Flagstaff, the husband-and-wife team shifted Flag's culinary scene with the addition of an upscale — yet unpretentious — restaurant that goes beyond seasonal menus and open kitchens. Shift's exposed kitchen sports a dining counter that puts guests up close and personal with the chefs, and the rotating menu of progressively larger dishes incorporates local ingredients like butterscotch bread pudding and spring vegetables with fazzoletti pasta. Named one of Zagat's Five Hottest Restaurants in Sedona, Mariposa is the brainchild of restaurateur and world traveler Lisa Dahl (Dahl & DiLuca). Her travels through Argentina, Chile, and Uruguay influenced the cuisine, with tapas plates like Ecuadorian shrimp ceviche and chorizo-spiked mussels leading the global menu. The floor-to-ceiling windows exposing Sedona's red rock buttes alone make Mariposa worth a visit, though the butter-slathered filet and minty salmon might also inspire a few returning customers, too. If you thought the Greek tradition of breaking plates during a meal was odd, brace yourself. The idea of getting loaded at dinner takes on a double meaning at Modern Round, a new restaurant opened by a former Smith & Wesson executive. Diners can fire off replica AR-15s at VR zombies, animals, and other targets while downing Arizona-grown Angus Beef and fried-dill-pickle chips. And, yes, you can go back and read that sentence again. Arizonans are such fierce innovation-lovers that the city of Peoria actually paid Modern Round over half a million dollars to settle here. Not hard to see why…even those who don't identify as gun nuts can't help but be intrigued. On the surface, Fat Ox comes off shiny and almost a little too done up. But under the glitz and glam, this new Italian joint has two extraordinary cooks — co-founder Matt Carter of Zinc Bistro and chef de cuisine Rochelle Daniel, formerly of L'Auberge de Sedona — slaving over pots of boiling water. Housemade pasta dough is rolled in small batches for an exclusive feel, and the shapes are quirky (seriously, who this side of Sicily has heard of casoncelli?). More than just noodles, Fat Ox also satisfies label-obsessed omnivores with high-end meats including a $110 dry-aged porterhouse, Jidori chicken, and Duroc pork. Tool frontman Maynard James Keenan nailed it when he opened a tasting room for his moderately priced Merkin Vineyards wines. Unlike his fancier Caduceus Cellars stop-off in Jerome, this vino joint serves homey pasta dishes and garden greens to help soak up those sulfites. To seal the deal, Keenan rocks it local with Arizona grapes, Top Knot Farms poultry and beef, and produce from his Verde Valley orchard. 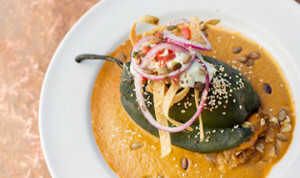 Tucked along a tree-lined section of Grand Avenue in downtown Phoenix, this new outpost of Silvana Salcido Esparza's Barrio Café allows the James Beard nominee to showcase her talents with ever-evolving dishes and a menú de degustación (think "chef's choice"). Signature dishes like Esparza’s tasty cochinita pibil — pork marinated with tangy achiote — make an appearance, but it's the historic pie factory digs, intimate dining room, and a special tasting menu that make dining here feel like you’re spending a night in Esparza's private cocina. Enrique Iglesias isn't the only one who wants to live contigo. After an unexpected closure, this longtime Tucson favorite reopened at the Westin La Paloma resort last year with a fresh new menu of heirloom Spanish dishes. Look for chimichurri-marinated lamb, chorizo-stuffed dates, and flavorful tapas, washed down with a glass of sangria. Enough said. A professional writer since 2001, Wynter Holden started her freelance career creating content for AOL CityGuide. She is the author of more than 700 blogs and articles for Phoenix New Times, and currently freelances. 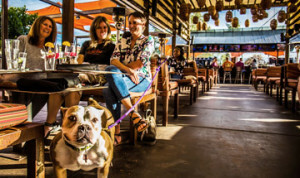 Expedition Foodie interviews chefs, servers, mixologists, brewmasters and winemakers to uncover Arizona’s best-kept dining secrets. This week, we visit Elote Cafe in Sedona.